This is the original version of Super Star Speech. It is a complete program by itself, but doesn't contain as many extra practice pages, activities, and games as the newer Expanded Edition. 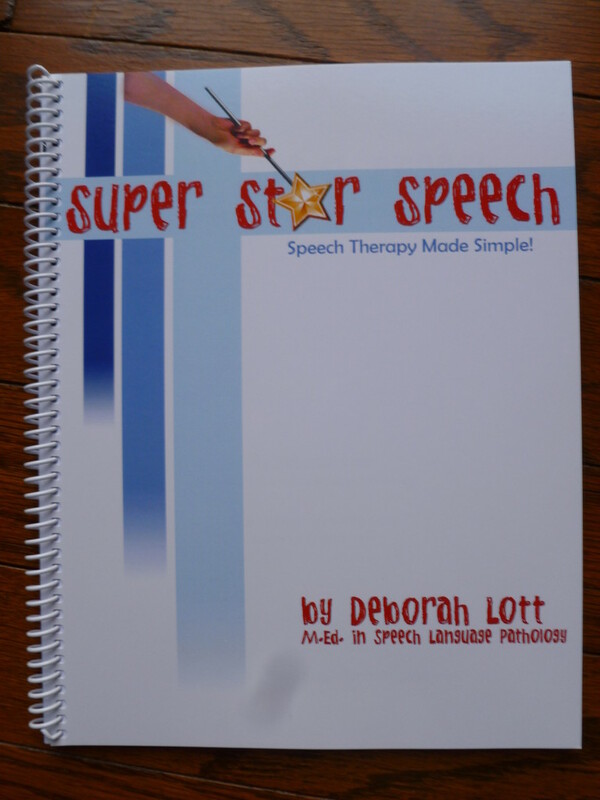 Super Star Speech: Speech Therapy Made Simple will teach you how to help your child improve his/her articulation (speech sound) skills at home. The manual includes an articulation test that will help you identify your child’s specific articulation errors and compare your child’s speech to developmental norms. Specific instructions for teaching each sound are included, as well as worksheets, games, and 240 picture cards. Articulation test assesses speech sounds in all word positions. Save up to 40% with the e-book version of Super Star Speech.